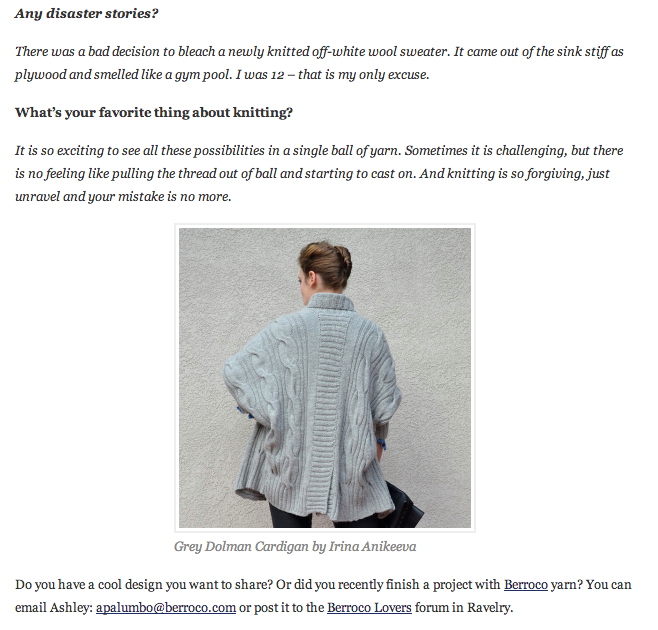 Few weeks ago I've got a message from Ashley Palumbo, social media director of Berroco. 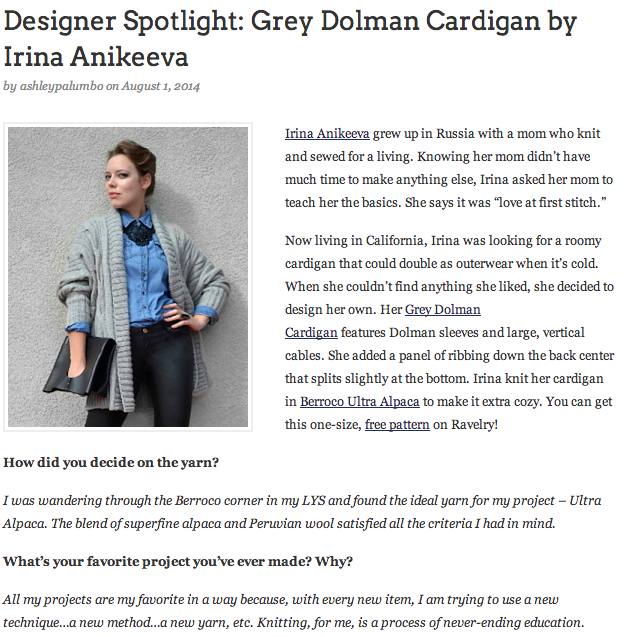 She asked me to answer some questions about my Gray Dolman Pullover and about me (oh, my!). Well, I did answer them and I was very excited to see a post from August 1st at blog.berroco.com about your humble servant's design.